In Israel, a Crusades-era hand grenade was found and retrieved from the sea. The family that found the old relic has handed it over to the Israeli Antiquities Authority. Nothing like the ones made today, this grenade was made from heavy clay and is beautifully embossed, it does not explode with shrapnel like the hand grenades of this generation, but it is more like a Molotov cocktail or incendiary grenade. It was filled with naphtha, a flammable sticky liquid known as Greek fire, then sealed and thrown at enemies. It was mostly known to be used in naval battles where the fire would easily destroy enemies’ ships. 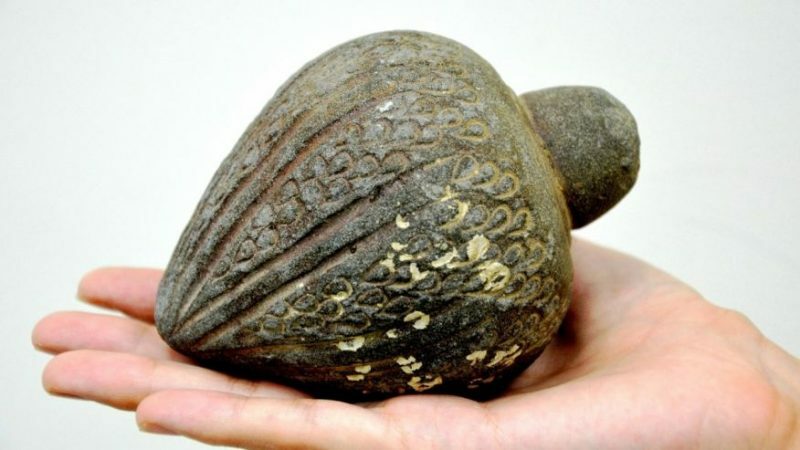 The IAA stated that the grenades were very popular in Israel during the crusades, which took place between the 11th to 13th century, and they were used until the Mamluk era, between the 13th and 16th century. The late Marcel Mazliah, a worker at the Hadera power plant in northern Israel, found the grenade. But this wasn’t the only item that was in Mazliah’s collection. Archaeologists were very surprised to find ancient artifacts that date back 3,500 years. Marcel’s family told them that he found most of these treasures while working at the power plant that was near the sea, he collected them for many years. Some of his other finds were the head of a knife which dated back to the Bronze Age, along with candlesticks, two mortars and two pestles dating back to the 11th century. “The items were apparently manufactured in Syria and were brought to Israel,” Ayala Lester, a curator with the Israel Antiquities Authority, said in a statement. “The finds are evidence of the metal trade that was conducted during this period,” Lester said.